With record-setting snow totals in 2014 in many New England areas, the topics of ice dams are just starting to surface again as the winter months are upon us. 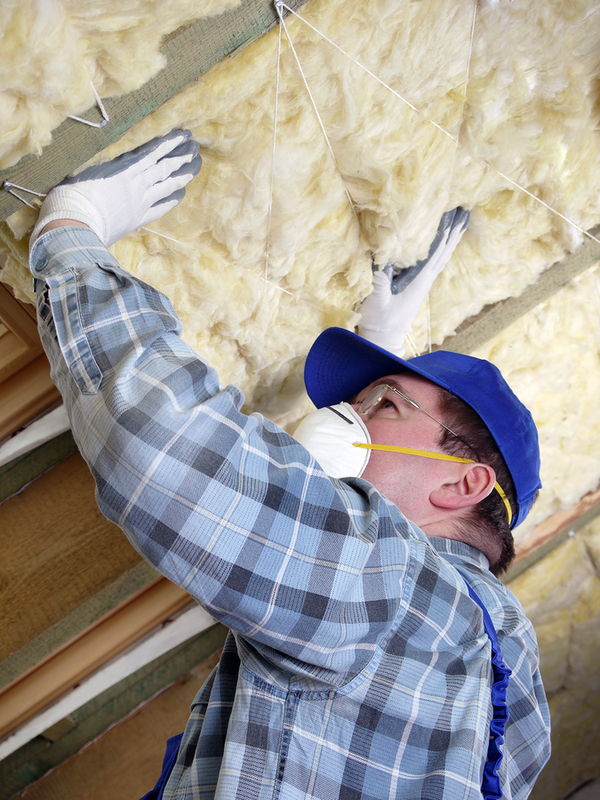 Many homeowners have seen drastic increases in their homeowners insurance due to damage from the previous winter. Some homeowners in the Boston area have seen as much as a 9% annual increase. So what do you do when you see those icicles forming on your roofline, or some telltale damage on the ceiling of your master bedroom? 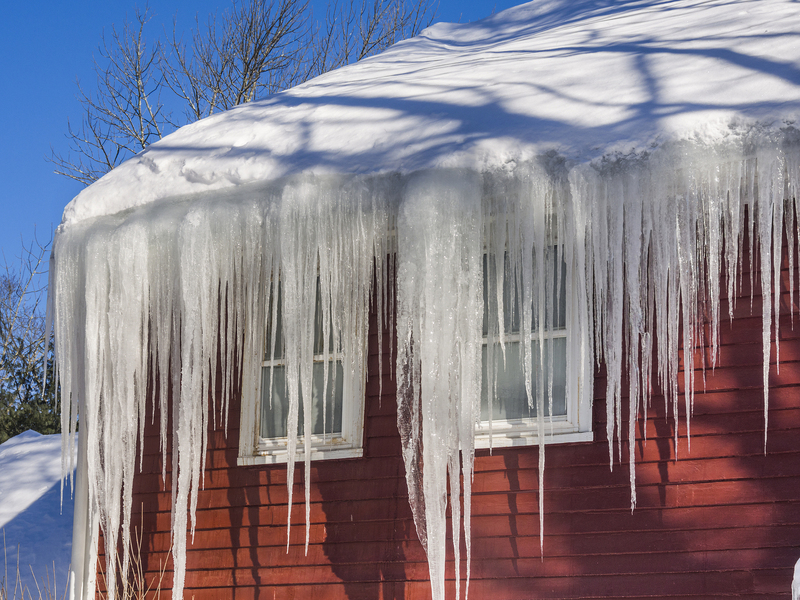 Icicles are an indicator of ice dams – the bigger the icicles, typically the bigger the problem. Protect your floors first: Flooring is much more expensive to replace than your ceiling or walls, so mop up that water before any hardwood is affected. Carpet should be rolled up, even wall-to-wall carpeting. Padding is cheap to replace, but carpets should be salvageable. If you see water coming through the ceiling, break a hole in your ceiling. It is much more effective to catch the water in a bucket than to have mold issues down the line as a result of hidden moisture. Any drywall damage that occurs must be cut away and replaced, but wood in custom molding can be sanded and cleaned to prevent mold growth. Create a mixture of half bleach and half water to wash sanded wood, and refinish to match the existing pieces. A long-term solution to avoid the formation of ice dams is to prevent the transfer of any heat in the building through the roof to the outside by creating a “cold” roof. You can do this by insulating between the rafters on the roof, which should be included in any future renovation effort to mitigate extensive damage from ice. Insulate between the outside and inside. 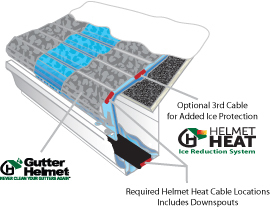 Additionally, a self-regulated heated cabling system (like Helmet Heat) can warm up your roof-line and melt snow and ice before ice dams can form. The consistent heat doesn’t allow the dams to form in the first place. Take action on any ice damage that occurs this year, and protect yourself for the future with the above tips.